Thompson is a town in Connecticut's northeast corner near the borders of Rhode Island and Massachusetts. Providence is 30 miles away, and Boston is 60 miles away. The town is composed of 10 villages. Prospective homebuyers who want large yards will find some three-bedroom homes for sale on more than an acre of land. Families can buy houses with several bedrooms that have amenities such as bonus rooms and fireplaces. People who want plenty of room for a large family will find homes for sale with five bedrooms. There are houses with one or two bedrooms for those who are interested in smaller homes. The town's luxury homes have amenities such as tennis courts, game rooms and outdoor spas. 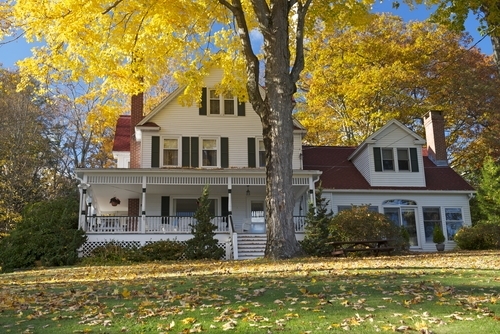 Real estate in town also includes historic homes that were built in the 19th century. 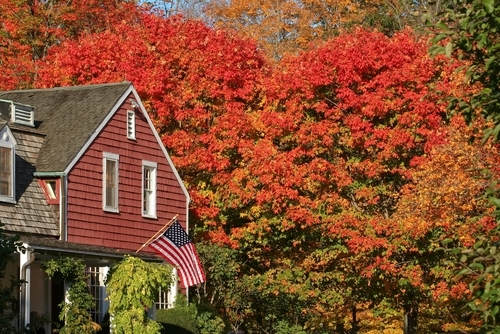 The average home price here is $197,805. There are a variety of things to do in the area. People who are interested in history can learn about the town's history at the historical society's museum. 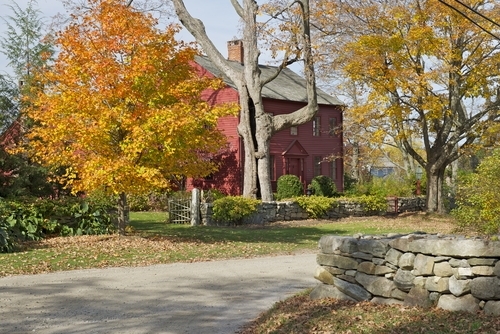 Fort Hill Farms is a great place for a family outing. The farm has a horse, cows, goats and hens. Visitors can pan for fossils and gems in the mining company section of the farm. The reservoir and beach at Quaddick State Park make it a great place to spend a summer day. Fishing and boating are permitted here. Golfers can play on the 18-hole course at the Raceway Golf Club. The club is on the same property as the town's motorsports park. Several NASCAR events are held here. Bus service in the town and the surrounding area is provided by Northeastern Connecticut Transit. Travelers can take domestic flights from T.F. Green Airport approximately 42 miles away in Warwick, Rhode Island. They can take international flights from Bradley International Airport approximately 63 miles away in Windsor Locks, Connecticut. People who find it easier to travel by train can board Amtrak at Worcester Union Station approximately 24 miles away in Worcester, Massachusetts. The town's public school students attend three schools that are part of Thompson Public Schools. Mary R. Fisher Elementary School serves students in prekindergarten through fourth grade. Students in the fifth through eighth grades attend Thompson Middle School, and high school students attend Tourtellotte Memorial High School. These schools are in a complex in the village of North Grosvenordale.